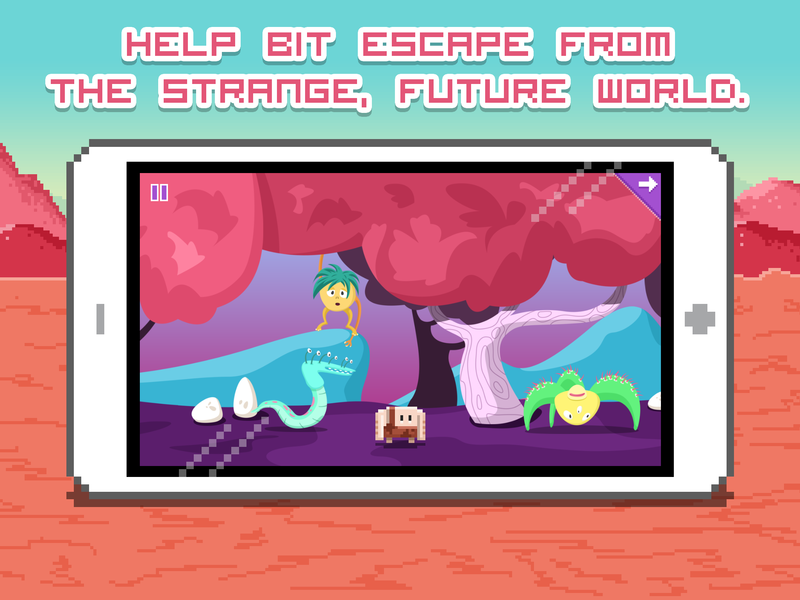 Bit is a simple caveman, living in a world of pixels. 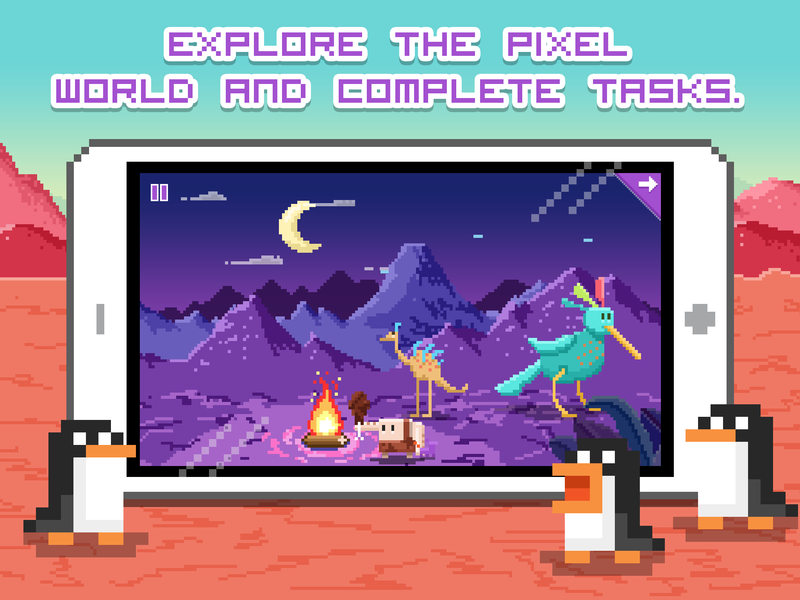 Wonderful dinosaurs and animals roam the forests of Pixel Land and Bit loves it there. Everything changes when he finds himself frozen in a block of ice. The story is completely interactive. Kids must help Bit explore his world and complete tasks along the way. 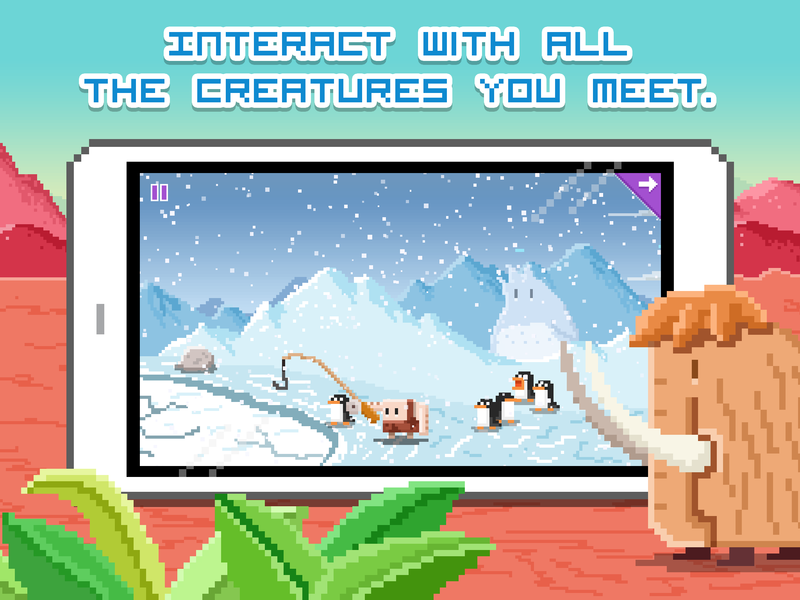 Tap those dinosaurs, mammoths, yetis and penguins! Kids can visit the arcade and play some classic retro video games. 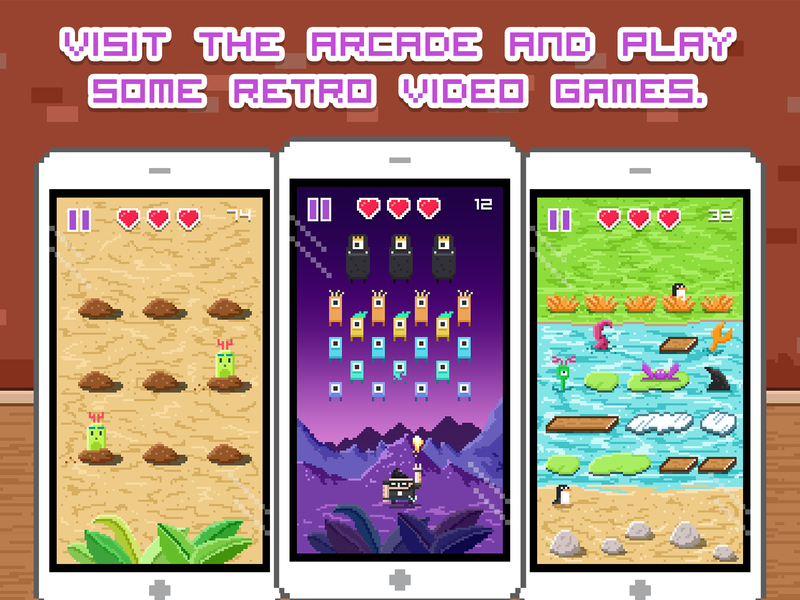 Whack some moles, shoot the invaders from space or help the little penguin across the lake. Unlimited replays, no quarters needed! There are no in-app purchases in Bit. Everything is available from the first time you play. Bit is ideal for 4-8 year olds, but even the younger kids can join in the fun. DescriptionBit is a simple caveman, living in a world of pixels. 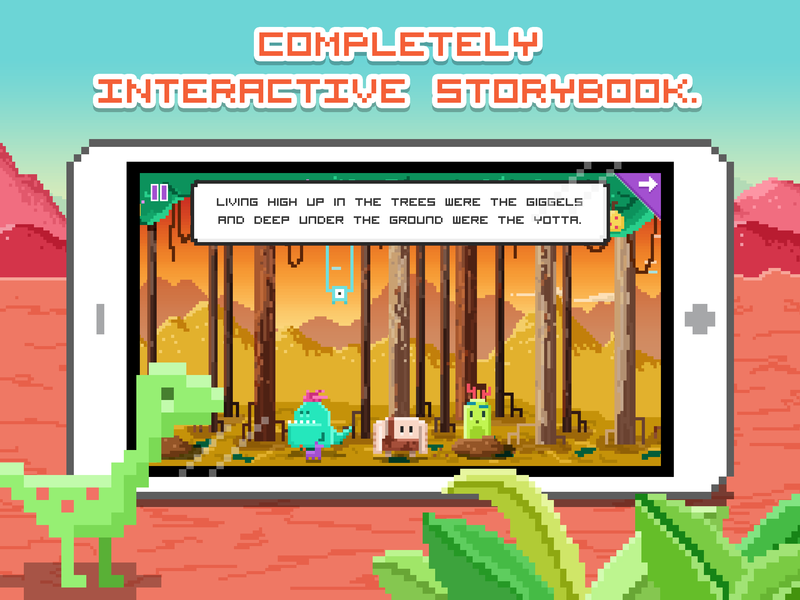 Wonderful dinosaurs and animals roam the forests of Pixel Land and Bit loves it there. Everything changes when he finds himself frozen in a block of ice.